The project is organized around six interacting, complementary Multi-Actor Labs (MALs) spread over the EU, exchanging their tools and expertise. 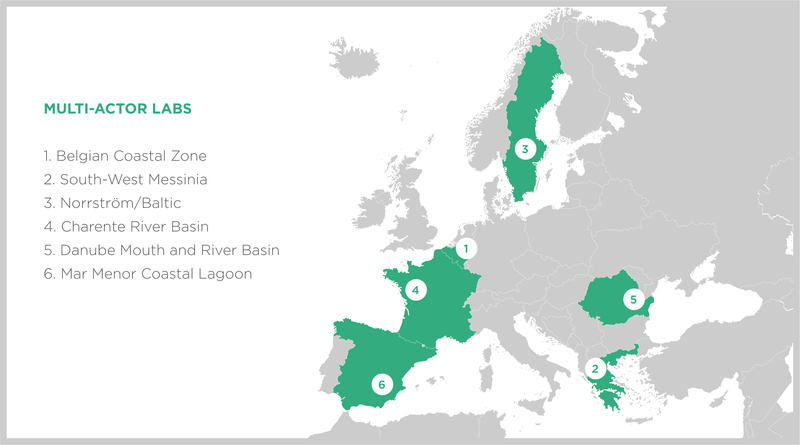 COASTAL Multi-Actor Labs contribute to the COASTAL Knowledge Exchange Platform. The MALs are connected through a Collaborative Knowledge Exchange Platform, to be further exploited and developed beyond the project life time.